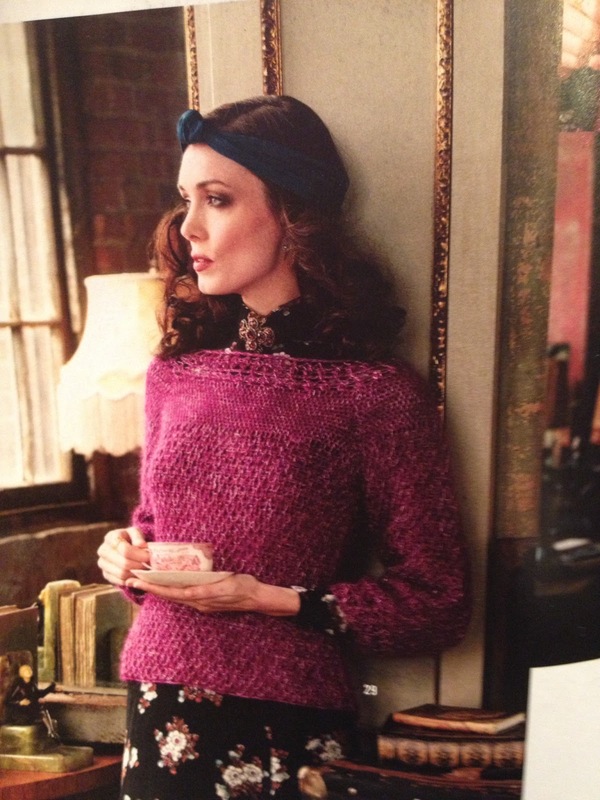 The new VK Crochet magazine arrived yesterday, and my goodness, is there some beautiful stuff in there. I picked out four favorites. This lacy spring top by Charles Voth is my number one pick, and not just because of the color, although it is a gorgeous color. The simple shaping allows the feminine floral stitch pattern to take center stage, and the slightly bell shaped sleeves look very modern and pretty. The lace collar is a nice touch, but you could leave it off if you prefer a cleaner look. I also like this cardigan very much. A bit more tailored than the tee, I like it for many of the same reasons: simple shaping, floral stitch pattern and modern styling. And I like this wrap. Both the large motif and the rich color make it a very dramatic accessory. Hairpin lace and broomstick lace are the techniques used on this one. Available in both shops now. 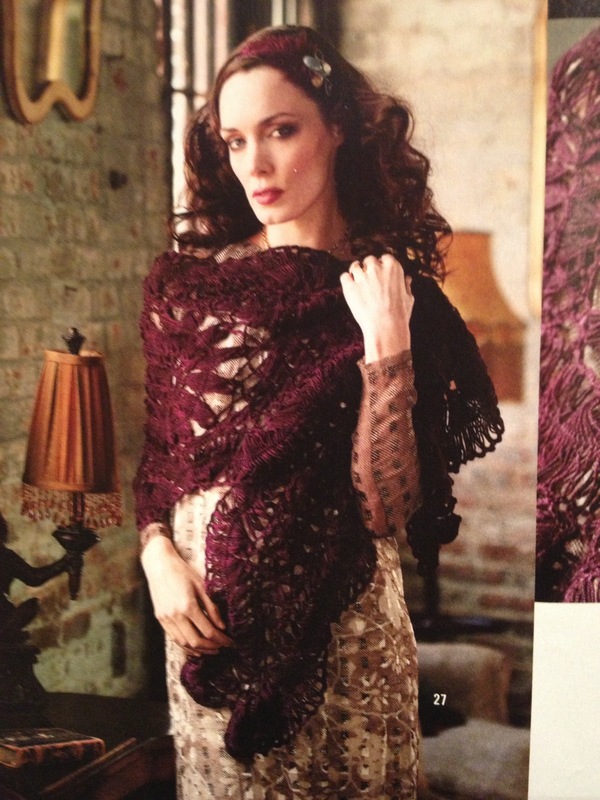 This is truly one of the nicest crochet magazines I've seen. Pick up your copy this week because this issue will sell out.